What Kobe Bryant Can Teach Us About Success | SeedX Inc.
Five NBA titles, two finals MVPs, 18 NBA all-star appearances, and as of this March, one Oscar – that’s the brass Kobe Bryant has to show after a 20-year long career of NBA basketball. It’s also what makes him one of the greatest players to ever step on a basketball court and the Oscar is a perfect acknowledgement of his passion and love for the game. For anyone who has shown even a mild interest in basketball during the past two decades, these accolades hardly come as a surprise – Kobe’s been in the spotlight throughout his entire career and he’s had his name put up against some of the game’s greats. And, like any great, it took more than pure talent and a streak of good luck for the Black Mamba to earn his spot in the Hall of Fame. 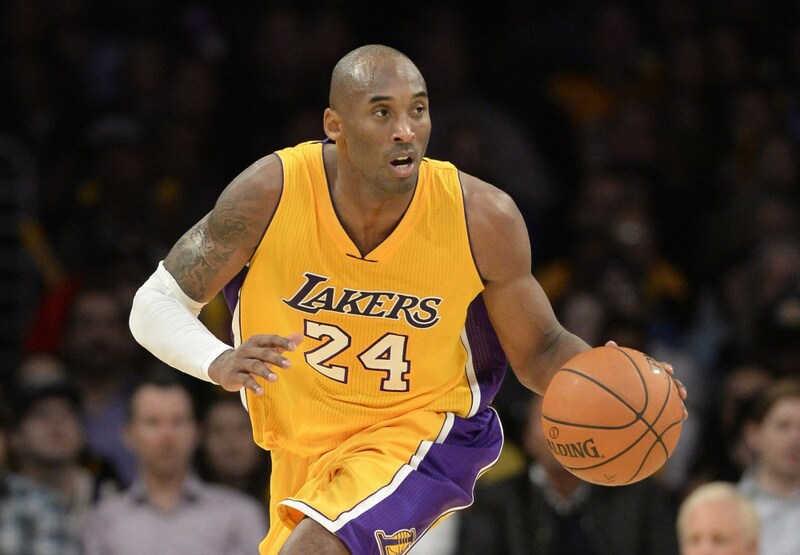 Here is what Kobe Bryant can teach us about success. Coming into the league at just 18 years old, Kobe spent his entire first two seasons coming in from the bench.While he did earn his first all-star selection during his sophomore season, we can safely say that Kobe didn’t have a major role that other legends had from the start of their careers. During these two years, Kobe wasn’t regarded as the leading scorer with the killer instinct we now know and love; he was more of a backup player with a lot of talent, waiting for his opportunity. However, once he got it – he started writing history. His third season was hindered by injury but, during his fourth, he doubled his PPG and improved all aspects of his game – shooting, assists, rebounding, and defense. He earned his second all-star selection this year and has never passed on a selection since. He went full throttle and never looked back on the skinny boy with the afro sitting on the bench and waiting for the coach to call his name. If there’s one thing Kobe has been known for his entire career, that’s his incredible work ethic. Even when he reached his prime and won back-to-back titles, he was still the first one to enter the gym and the last one to leave it. His teammates often lauded him for his incredible drive and dedication during team practices, as he was often the key motivator. All of this work reflected on his performance. For example, at age 34 (during the 2012/13 season), Kobe put up 27.3 points on 46% shooting – the second best shooting percentage of his career. It’s hard to achieve this kind of longevity without a disturbing amount of work ethic and dedication. There is a good reason why we all scream “Kobe!” as we shoot a folded piece of paper into the waste bin – the man built his career on buzzer beaters and clutch shots with defenders in his jersey. The ability to deliver when it matters most is a true virtue of champions. Jordan had it, Magic had it, LeBron has it. There isn’t a single NBA legend that couldn’t come through in the clutch. Just take a look at some of these plays and tell us you don’t see a man destined for greatness. In fact, Kobe’s killer instinct and cold head earned him the nickname “the Black Mamba” – the deadliest, most merciless snake there is. Lastly, all of these things – the patience, the work, the pressure – come very easy if you love what you do. Every time he stepped on the court, every time he yelled at the refs or cried after a victory, you could feel the love that this man had for the game. You can hold many things against Kobe, and his game certainly wasn’t perfect, but the passion with which he played can’t be taken away from him. That’s why his Oscar-winning animated short is called “Dear basketball” – it’s a letter to his first love, an ode to his 20-year long relationship with the game between two hoops. Kobe Bryant is a perfect example of how great talent, combined with impeccable work ethic and passion can achieve incredible things. Taking a look at one of the greatest careers in basketball, we can learn where we can seek to be the best in the world.